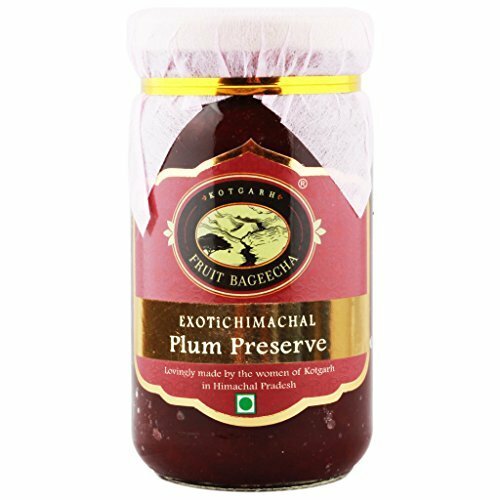 Kotgarh Fruit Bageecha 1 Plum Preserve, 250G by Kotgarh Fruit Bageecha at Sunset Succulent Society. MPN: 616913534022. Hurry! Limited time offer. Offer valid only while supplies last. Our Plum Preserve is a flavourful blend of exquisite varieties of delicious plums grown in the Himalayas giving it a unique rich colour and taste. Our Plum Preserve is a flavourful blend of exquisite varieties of delicious plums grown in the Himalayas giving it a unique rich colour and taste. The luscious burst of the fruit flavour in the preserve is a delight for the senses. Our Plum Preserve is a flavourful blend of exquisite varieties of delicious plums grown in the Himalayas giving it a unique rich colour and taste. The luscious burst of the fruit flavour in the preserve is a delight for the senses.